This is an edition of the official war diary of the 2nd Battalion, the Bedfordshire Regiment and complements BHRS’s 2004 volume The Shiny Seventh: the 7th (Service) Battalion Bedfordshire Regiment at War 1915-1918, also edited by Martin Deacon. A War Diary was kept by each unit while on active service during World War I. Written by the adjutant, it was intended to be a record of the unit’s activities. Often terse, sometimes descriptive, the diary records troop movements to and from billets and trenches, weather conditions, the 1914 Christmas Day truce, shelling, attacks, battles and casualties. The 2nd Bedfords took part in the First Battle of Ypres, Festuberts and Loos, and the Somme and Passchendaele. After a mauling during the German offensive of 1918 and having merged with the 7th Battalion, they ended the war with a successful career in 18th Division during the final British offensive from August to November 1918. 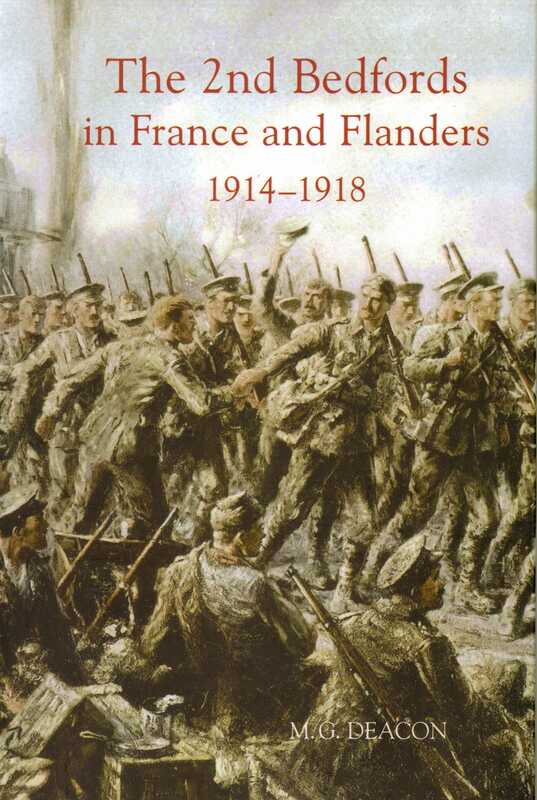 For anyone wishing to trace their steps, the book includes directions for three drives around the battlefields where the 2nd Bedfords saw action in northern France and southern Belgium.